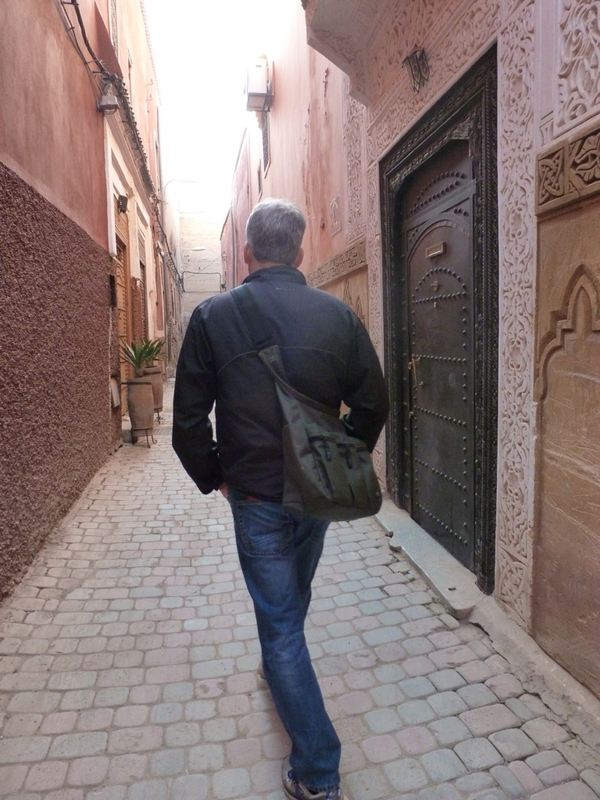 When you've walked around all day in the heat and dust it's good to have a cool, quiet place to go and for our trip that's a small riad a few minutes from the main square of Jemaa el Fna. Our hosts here are attentive, friendly and sensitive to exactly what is needed after a long day out in the souks. 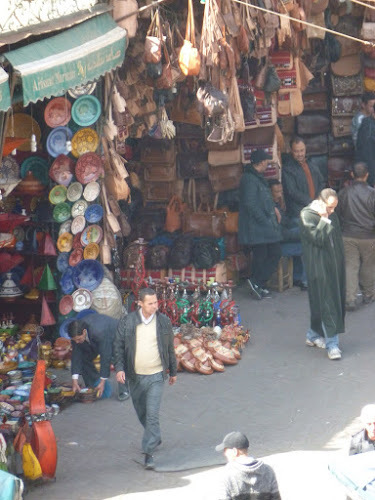 Whenever you return you are offered a mint tea and some calm time up on the terrace far above the street noises. 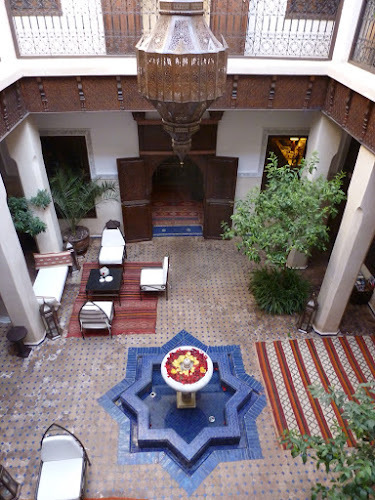 The riad is tastefully decorated and the sound of running water and scent of orange blossom fill the air. There are huge bowls of local oranges and tangerines placed on low tables surrounded by comfy seats to flop into. 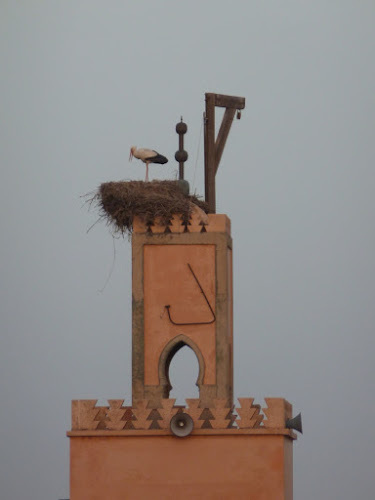 And in the cool of the evenings, we've been to visit the storks who make their nests high on top of the main city walls and anywhere else they fancy.